August was the end of my first quarter of being self-employed and it was a very good month. The ability to spend more time with my family, start of football season, being able to do interesting events during what would have been my normal work hours have made August a very successful month. Oh and let me not forget to mention that I earned more these past 3 months than I would have earned in 6 months in my day job! People are driven to have physical possessions or to have experiences. There is no shortage of people who feel inclined to use physical possessions to define their self-worth and what they believe to be their “image” to the world. These people must have the expensive cars, send the kids to private school, live in the country club neighborhoods and wear expensive clothing Unfortunately most of these people are heavily in debt. They will never be able to retire from the rat race because they are slaves to their consumption lifestyle. Luckily for me (at least today) I no longer fall into that trap. But at one point in my life I woke up and realized I owed over $75,000 in debt. When I looked around I could not see what all I could have purchased to ring up such debt. That moment was the start of my decision to get out of the rat race. For the next five years I literally followed the Dave Ramsey Financial Peace program of eating rice and beans while paying off my debt. Once my debt was paid off I had a radical mind shift where I no longer needed to have physical possessions as if it was defining me as a person but instead I focused on living well below my means. If you are ever thinking of getting out of the rat race, take my advice and get rid of as much debt as you possibly can before you escape. The burden of not worrying about how to pay the bills is worth it! Now I have the ability to do crazy adventures and spend time with my family because I do am not slave to a consumption lifestyle. I call it enjoying life and in August I got to do lots of it. One day my younger sister called up and asked me if I could kayak. I said I had done it before. She asked if I could roll in a kayak if I got turned over. I told her I could not. No worries because they make sit upon kayaks that do not have skirts. Two days after the call we were putting in 2 kayaks in some river in some small town in Georgia that I never knew existed. We then paddled over 10 miles while geocaching. The greatest part is that I didn’t have to ask off a day from work to go and do this. I now have the freedom to take off and do crazy adventures like this that I would not have been able to do if I was still working my day job. I have only been self-employed for 3 months now but the freedom that I have learned in this short time has been worth the five years of pain spent paying off all that debt and then the 2+ years of working all those hours building up my online business to get me to the point of escaping the rat race. I absolutely love my life! 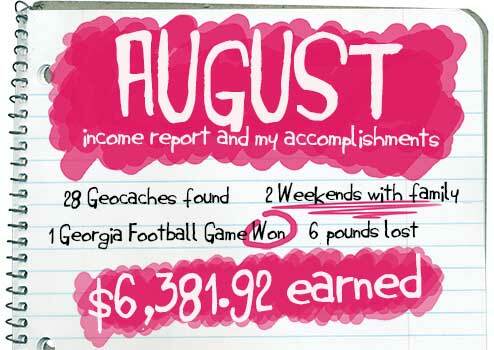 Here are my reflections on my August 2014 Monthly Income Report. Being self employed is not for the faint of heart. I cannot count on a solid paycheck each and every week like I could when I was working a day job. This definitely takes a lot of adjustment to get used to. When you compare my best month in this quarter to my worst month, There is an almost $3,000 dollar difference in income. Thank god I got debt free before escaping the rat race or these fluctuations would have driven me back to a day job with the safety of knowing your income every month. 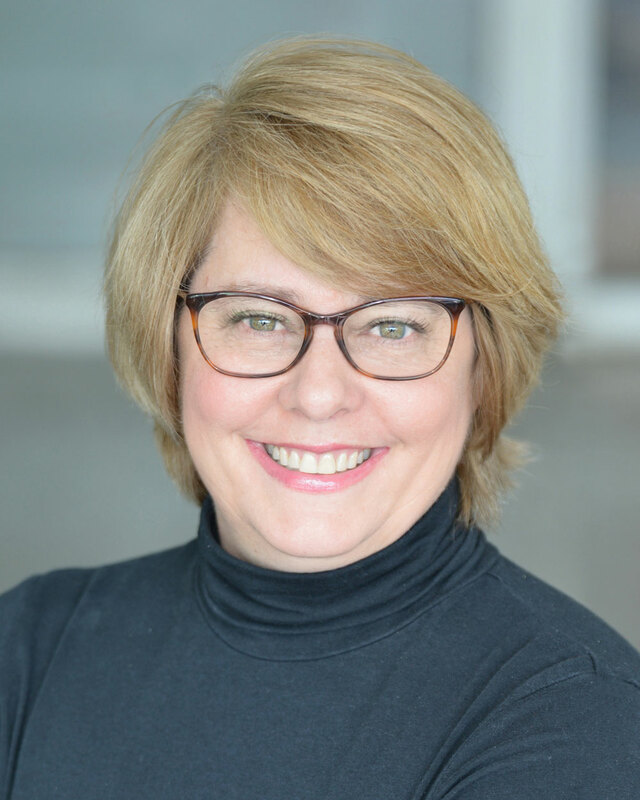 In August I stepped out of my comfort zone and started pursing offline clients. This is out of my comfort zone because I much prefer to interact with inanimate objects like a computer than a person any day of the week. Dealing with clients is a stretch for me. I also went back to creating videos for others using templates from videohive. I did a 21 day juice fast during August and ended up loosing 6 pounds. As of today I am down to 155 pounds from 172 pounds. I am committed to doing my first pullup before the end of the year. During August I did not push my online business as much as I did the previous two months. I took off time to spend with my family. One weekend I spent with my mother for her 76th birthday. Another weekend I spent in Athens for the start of football season. I worked less hours this month than I did in June or July. The biggest news is that I earned more in the past three months than I took home in six months in my day job!!! Here are the details of my income from August. I am going to start off with the hands free income methods this month. I do absolutely no work on my books but I still earn income from them each and every month. August I earned $66.44 in book royalties. This is another hands free income method. I will never get rich from either of these two hands free methods but it is nice to see the income as a result of not doing any work for it. You can have everything in life you want if you will just help enough people get what they want. I spent three days building up my Online Resource Guide. Then I provided the entire resource guide in a PDF format that is 28 pages long. Anyone who deals with anything online is always looking for recommendations for things from hosting, wordpress themes to landing pages to membership site software. I decided to sell PLR rights to my Online Resource Guide for only $10. The PLR rights gave you the editable word document where you could replace my affiliate links with your affiliate links and then sell or give away the Resource Guide to your audience. Anytime somebody clicked on the resource and purchased that product you would get a commission since it was now using your affiliate link. Twenty four people have purchased my Online Resource Guide PLR rights and are now making money from the material that I spent three days putting together. It is a nice feeling knowing that people are out there making money off of something that I put together and that I helped them to make that income. I enjoy going out and promoting other people’s products. For the simple reason that I do not have to spend the time and energy necessary to create a product on my own to sell. Let somebody else do all of the work and then benefit from their hard work. I am mainly promoting products in the health and fitness arena but I also go out and promote my Mother’s award winning children’s books. I confess that this income stream is the one that brings me the biggest sense of satisfaction. Why? Simply because I am not a right brain creative person yet I have put in many hours learning it and I am able to parlay that hard work into income. I use to work with two guys where one was hands down the most creative artistic person that I have ever seen in my life. The other guy was just a genius when it came to video. I would go to work every day and was just amazed at what they could produce and secretly wished that I could do that too. For the past year in my day job I worked almost every day with Adobe Photoshop, Adobe Premier, Adobe After Effects, Adobe Acrobat Pro and Microsoft PowerPoint. In the beginning I struggled mightily trying to learn these products. Now I am pretty good with them. The satisfaction come from knowing that I am able to parlay my struggle in learning a right brain activity into income when the guys who were so much better than me never showed the same level of initiative to capitalize on their talents. If you are not as gifted as somebody else then you can still be better than them if you are willing to work much harder than them. Do not ever forget that because if you want to succeed at being self employed then you have to be willing to work harder than anybody else around you. I was asked again to create some more videos using templates from Videohive for a client. It is definitely getting easier for me to create these videos. In August I earned $1,250.00 from Video Production. This is where I got out of my customer zone in August. I started dealing with customers either face-to-face or on the phone. Whew it was a big stretch for me. Getting into working with offline customers was just a natural progression of using my graphics skills coupled with my knowledge of affiliate marketing and Facebook ads. You contact offline customers and offer them a service where you will generate leads for them in exchange for a set fee. Once I got an interested customer I would charge them a monthly fee for driving leads to their business using Facebook Ads. Mainly using companies where I know the owners I was able to get 3 new offline customers in August. Going forward I plan on doing much more in this arena because it provides more monthly income and can easily be scaled. A great way to make monthly income is to sell your own products. Find what people are interested in learning about and then write a product that shows people how to do what they want to learn. That is all you need to know about creating your own product. If you do not think you have enough expertise to create a product then you seriously need to think again. People’s mindsets are the number one reason they do not create their own products and it is not because they do not have enough expertise. Let me give you some quick examples of my family and their expertise. My older sister could write a product showing how to create custom lesson plans for Pre-K classes. My younger sister could write a monthly newsletter on creating unique geocache designs. My mother could write about how to grow anytype of flower in any soil environment based on her experience as a Master Gardener. Now you can see how easy it is to find a unique skill set that you have to write a product. So go out and create your own product. My biggest selling product is my Amazon Affiliate Bible. In August I earned $378.12 from sales of my own products. My income from Facebook Ads is literally half of what it was last month. The main reason was that I was not as driven this month in my work hours because I was spending time with my family. Could I be disappointed with this? Yes. But I am pleased with being able to spend time with my family and doing crazy things like kayaking for hours and hours to find a geocache and the only thing you get out of it is to sign your name on a small notebook. Congrats on being rich, rich in life! That idea to seel PLR rights to your resources guide was pretty creative and I see it paid off well too. Thanks for the inspiration, these reports keep me going. Yes you are right that my Resource Guide did turn out well. I enjoy helping others which is why I share so much on my blog. I am doing lead gen too, so this was interesting. Thank you so very much for complimenting me on my graphics! I definitely appreciate it very much. Hope you are having success with your lead gen.
Great job last month and for your earnings! It’s ironic that most of your earnings come from offline than online; but personally, it doesn’t matter as long as you’re doing what you love and have the freedom to be your own boss. Also, a personal blog doesn’t have to always be the only source for income — which you have proven. Most of the time, it’s the catalyst for other income streams. It is great to be your own boss. I really enjoy the freedom. It is interesting that you consider most of my income offline whereas I only consider the offline clients as my first and only offline income experience! I agree. Part of the reason why I want to earn a living online is to be my own boss; but more importantly, achieve total financial freedom. Your income reports are really inspiring! I was wondering with your offline clients — did you find them through your networking or is there a place online where you can find clients? Also, I’ve always admired your blog design. Did you use a thesis theme and customized it yourself or hired a designer? This is a fantastic result for August. You are still an inspiration to me. I am trying my best to get stuff done so that I can be free to leave the rat race behind. Keep working at it and you will be out of the rat race in no time. You work hard so I know you will definitely get there. Hi Jennifer, great to see how you are spreading your earnings. I have been plugging away at my first “real” Amazon affiliate site for the last three weeks, and on the spur of the moment i decided to log into Amazon this morning, and guess what? I have made the grand total of $1.16!! Funnily enough, the products bought had nothing to do with what i was advertising. If you made your first sale in only 3 weeks then you beat me! Funny story happened to me in that my first sale was someone purchased an elliptical trainer and a $200+ bottle of perfume. I always joked that the many of the house wanted the treadmill but he purchased the perfume to make the lady happy so he got his treadmill. Great thing about Amazon in that you get commission for anything a person buys every if you were not promoting it. My biggest single purchase ever with Amazon was someone purchased college textbooks which was like $3k in sales in one order! I have never promoted college textbooks. Great graphics. The whole report says “PROFESSIONAL” from beginning to end. Can’t imagine anyone would doubt your ability to deliver. Well done! Thank you so very much! I worked very hard on putting that together. Looking forward to getting many clients from it. Can you share a bit more about your video production income stream? Are you offering that service through fiverr or something like that or you use your own marketing channels? thanks for sharing and keep up your excellent work! Thanks for the kind words! Yes for the video production I am taking multiple templates from videohive.net and splicing them together to get a final video using the content from the client. I am editing the video in Adobe After Effect and Adobe Premier to create the final video. I am much, much cheaper than hiring a professional video company to do the same thing and my turnaround time is 1/10th of the professional video company. So it is a win-win scenario for everyone. If you have seen my video from the Jackson County Heritage Trail geocaching event then you will see something similar to what I am doing. Congrats on another great month and good post.Can you please tell how you had earned money through video production? Yes I just answered the same question from Dan above. I am putting together videos using templates from videohive.net to create a video for a client. Sales results are perfect, but what about costs of doing business? Hopefully not too big. My cost of doing business is not that great. At least it is not so great that I am still earning more than I would have sitting in a cubicle in y 9-5 day job. how do you calculate the fee? Do you orientate it on the value of the leads to the customer or just on numer of leads? Thanks for giving us some more insights. My rule of thumb is to work with clients that charge over $100 per customer. So a crossfit gym would charge around $150 to $200 per month for membership. A bankruptcy attorney will charge around $2,500 per client. Then if you send them around 20-25 leads for a gym or 5 leads per attorney each month and they can close 60-70% of those leads the gym will earn 25 leads x .70% close rate = 17 new clients x $150 monthly fee = $2,550 monthly income for gym and I charge them $750 to generate that. Would you spend $750 per month to generate $2,550 in income? This is a very new arena for me but have been considering doing something similar for some time in my city in the UK (not with Chiropractors). Regarding the (wonderfully presented) report itself: Do you just drop a physical copy of this to (in this example) Chiropractors and wait for them to come to you? Like a cold contact? Regarding it’s content – Don’t you feel you’re “giving away” a lot of the process you use inside the document? You seem to tell them exactly what they need to make it all work and the only thing you don’t tell them is that you use Facebook ad’s to channel potential leads to them? Finally – I’ve read some of your other post(s) on Facebook Ads. Are you just running ads to the squeeze page of the client you’re working for? And how do you make sure YOU get “credit” for that lead if the referral from the Facebook Ad uses the form on the squeeze page? You are right that I am giving them the exact steps I would be doing for them. If they have the skills to do it themselves then more power to them. What you will find is that most chiropractors or other offline businesses do not have the time, energy or desire to do it themselves and find it is a better use of their time to pay someone with the expertise to do it themselves. That is where I come in. I am sending leads to my squeeze page where I am capturing their name, email and phone number. I am then sending this information to the client in a spreadsheet for them to follow up with. Yes it is possible that they may convert one of those leads and not tell me about it but it doesn’t matter because I am charging a flat fee for my service not pay per lead. Really appreciate the response Jennifer. Thank you for your report Jennifer, it is very inspirational and I too eventually plan to leave the rat race. So thank your for being open about some of the things that you do to run your business. I wish you success in escaping the rat race. Thanks for the kind words. Great information Jennifer, and the lead gen report looks really professional. Thanks for the feedback. I worked very hard on that report.